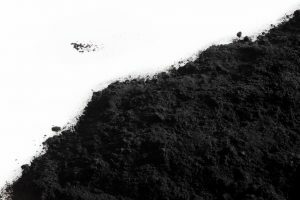 Activated Carbon activated from wood based carbon consists of mineral content like Iron Oxide, Alkaline Earth , Silica, Calcium, Magnesium, Chlorides and sulphates. Obviously your customers in the Food and Pharma industry will face a big challenge if their presence is beyond acceptable limits. Removing silica and insoluble heavier particles : Heavier particles and insoluble content can be remove by classifiers or during pulverising of material. The silica separator in the pulveriser prevents these insoluble heavy particles moving up with the stream of activated carbon and air. This reduces the insoluble ash content. Removing acid solubles and water solubles : Using a series of acid washes via HCL, H2SO4 or HNO3 : acid solubles get dissolved. The impurities are decanted and the ash content is removed further. Special care on the quantity of acid, reaction time and settling time is to be taken to ensure the adsorption and porosity of carbon is not affected. After a series of acid washes – a stream of water washes dissolve the water soluble mineral content and stabilise the low pH. After this the carbon through a series of filter presses is dewatered and dried to get you enriched ultra pure powdered activated carbon.